Where is the Doctor? When the skies of Earth are frozen by a mysterious alien force, Clara needs her friend. But where is the Doctor, and what is he hiding from? As past deeds come back to haunt him, old enemies will come face-to-face, and for the Doctor and Clara survival seems impossible. Guest cast: Michelle Gomez, Jemma Redgrave, Kelly Hunter, Clare Higgins, Jaye Griffiths, Harki Bhambra, Daniel Hoffmann-Gill, Joey Price, Aaron Neil, India Ria Amarteifio, Dasharn Anderson, Demi Papaminas, Jami Reid-Quarrell, Benjamin Cawley, Stefan Adegbola, Shin-Fei Chen, Lucy Newman-Williams, Barnaby Edwards, Nicholas Pegg, Jonathon Ojinnaka. Steven Moffat, Lead writer and Executive Producer, gives us an insight in to what to expect from the ninth series of Doctor Who, returning to BBC One on Saturday 19 September. Doctor Who is back, how has the dynamic of the series changed since series 8? 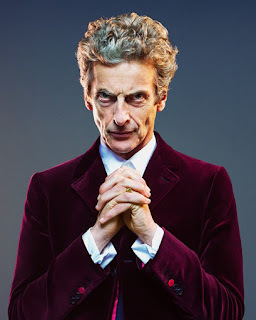 Peter Capaldi returns with his second series as the Doctor - it’s the glory years of the Doctor and Clara. They’ve been through the angst, the Doctor has been through his fear of not being a good man, and Clara has been through her fear that this might not be the Doctor. They’re on equal footing with a new dynamic between them and are relishing the Universe. They’re linking hands and running towards a brand new world of epic adventure on a cinematic scale. They are clearly heroes and loving every minute! How is the series different from last year? I think it’s a big, mad and exciting series. You’ll be grinning a lot more, there’s more comedy mixed in with some of the darkest stuff we’ve done - Doctor’s first big entrance kind of sets the tone. Why did you decide on re-introducing two-parters? Tell us about the guest cast. We have a vast array of guest cast this year that means we can build on the depth of stories - develop intrigue and backstories even further. 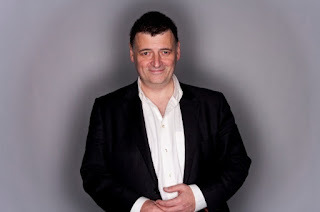 We have the magnificent, insane and comedic Missy returning; young outstanding Maisie Williams taking up a new role as her character challenges the Doctor in unexpected ways; and of course Osgood is brought back from the dead, the Doctor might be in for a surprise with her, this time he might not be able to trust his number one fan. Did you have any challenges writing for the series? We always like a new challenge on the show - bringing adventures set on dangerous alien planets, urban thrillers, underwater ghost stories, journeys that take us from Vikings to the end of time itself, we’re pushing the boundaries once again with the most experimental episode Doctor Who has ever made. I’ve written a one hander for the Doctor, I can’t tell you too much about this, but it’s certainly unique and a big first for the show! Can you tell us about the opening episode? The opening episode of the new series is fabulous - the story is going to take us across the Universe in to all types of dark, terrifying and funny places. It’s a particular epic one to start, with lots of old favourites, Missy and the Daleks are returning and particularly for those who are nostalgic with the Daleks of the 60’s, there are some special surprises in store. For me, obviously to get to play the Doctor, the whole things is a delight. Some of my favourite moments are when we reveal something of the Doctor’s more alien nature. For instance, in ‘Kill the Moon’ when he’s able to look in to time and read it, and communicate that, I think that was fun to do. What was it like to battle Daleks from the different decades in episode 2? Any favourites? I don’t have a particular favourite, but I do like to see the little old ones, they’re very sweet as they’re quite small. But actually they’re still strangely brutal, nasty little pieces of work, but are rather handsome and classy. They were great fun and do what is expected of them, you get a whole group of them together in the opening episode. I think we had about 20 of them in the studio so that was very exciting. Once you had them all moving, it was very funny watching Hettie (Macdonald) directing them, because she was directing them like actors - ‘you’re getting upset at this moment, have a look at your friends’ - and they’d look at their friends and then she’d say - ‘you need to look nervous now’ - and they’d actually be able to convey nervousness - it was actually very, very clever. It was like being in a Dalek theme park, with a free ticket, so that was fun. Really excited, a lot of the stories are very self contained two-parters, it’s a lot more space bound and it’s all about adventures and time travelling. The amazing benefit of doing them, is not only do you get more time to explore the story but also at the end of the first part you get to create a huge cliff hanger. Clara and the Doctor are really united, they’re strong together and are just enjoying travelling and doing and seeing as much as possible. It’s very adrenaline fuelled and full of reckless adventure, with them throwing themselves head first in to it. Clara seems to be more determines and focused on time travelling, do you see that she’s moved on since the last series? In a way she’s cutting ties with earth more and more. Since losing Danny I think her perspective has changed on life and in a way she’s lost fear of her own mortality a bit. When that happens there’s a sense of freeness. She doesn’t fear her own mortality anymore going in to adventures, so there’s nothing holding her back. So when that happens it can be quite dangerous, as much fun as it is, but I think there’s definitely something in that for Clara, she’s losing herself in the position. There’s an ease between them, a shorthand, and she is becoming more and more alike him. I think they’ve always been a lot more similar than perhaps other Doctors and companions have been. I think she quite wants to be like him, but the more time they spend together the more doctorly I suppose she’s getting and more independent of him. There are quite a few stories in this series where you see us parting ways, where we’re covering different bases and then you see us coming back together, they’re a proper team. I think they’ve been through so much together, they know each other so well that they’re entwined. You have great looks this series - do you have any input in to what you wear? Practically with Doctor Who there are so many different looks, my idea for Clara is very much a school teacher who rides a motor cycle, in a retro sixties style but also sci-fi. The aim was to merge all those elements together for Clara’s look. In episode 1 the Doctor is lost and you’re contacted by your greatest enemy Missy. How does Clara and Missy work together to save the Doctor without killing each other? I think it’s because the peril that the Doctor’s in is so great that the only thing to do is to put differences aside and work together. I think in a way, Clara’s quite fascinated by Missy, but disgusted at the same time. 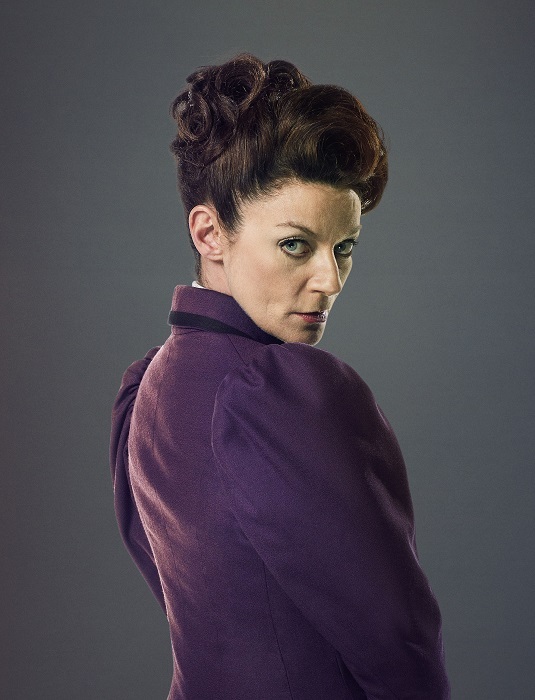 That’s partly to do with how Michelle Gomez plays her, she’s so magnetic that you can’t help but like her, even though you’re supposed to hate her. It’s one of the really clever things she does. Clara and Missy actually end up getting on, but remembering they don’t like each other again. You’ve done a few stunts in the series - can you tell us about them? I’ve done a lot of hanging upside down this series - upside down on a cliff in Tenerife was new, but surprising, it looks so easy but it’s not at all. It was tricky because we could only do it in minute spurts, filming the scenes. I also had a scene where I was hanging outside of the TARDIS too, so it seems to be one of my specialities this series. You’ve re-joined the Doctor Who cast and reclaimed the role of ‘Missy’ for series 9, what was it like being back on set? It felt so good to be back, especially as I thought it was all over for Missy at the end of series 8. But then of course she is The Master after all, so anything can happen, even dodging death. I'm still in a state of shock at actually being in a show I watched avidly as a child. How did you feel when you were asked to return? I was thrilled to be asked back, it's not every day one gets to travel through all of space and time. When they asked me to return, it's not that I had to think too hard about it, of course I said yes. And I'd say yes again if it came to it, but nothing's a guarantee so I'm aware this year might be her last. But I sincerely hope not. You appear in the opening episodes with Clara, tell us about it. The dynamic between Missy and Clara takes on a whole new shape and not one I had imagined. There is something not quite right about it that makes for slightly unnerving viewing. Missy gets bored very easily. You can imagine her and the Doctor in the class room. Missy using her intellect even then to cause mischief and disrupt. Shooting in a large cinematic location abroad in Tenerife, what did the location add to the scenes? There’s a sense of opera about that strange volcanic landscape - grand and loud in its infinite vastness, which provided us with a perfect backdrop for our needs. It had a harsh but strange beauty, almost lunar. Which was kind of the point. They are still opposite magnets repelling mostly, but at times they also attract. There is an undeniable shorthand that comes with a lifelong friendship. A friendship that at some point went very wrong. They are both from the same place eons ago, so the weight of that history they share is the bedrock of their relationship. Can you describe your character ‘Missy’? 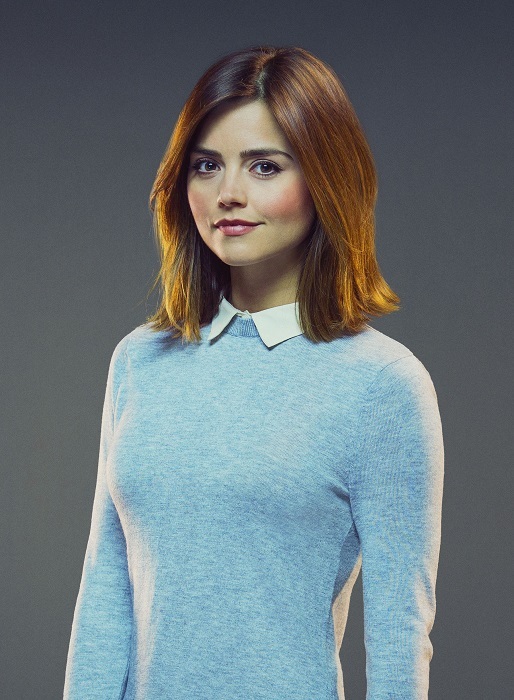 Tell us how she’s developed since series 8. Missy is a force of nature. She is a fearless, slightly psychotic killer whom you can't help but like just a little bit. She's very honest in her role as The Master. This is how she sees it - they both kill. The Doctor feels bad about it, she doesn’t. To her the Doctor hides behind his remorse whilst she thrives in the power to destroy. She has many tools to do this but so far we have seen but a few. Reading minds, hypnosis and moving obstacles just by thinking about it are to name but a few. She doesn't bake much. Well, not in the conventional sense. Currently the Doctor Who team have a strong Scottish feel with Peter, Steven and yourself as part of the crew, what feedback have you received from your home town? Go Scotland!!!! When asked recently what does Gallifrey look like, I replied ‘Glasgow’, I'm sure that went down a storm. I think they are very proud. It's a Scottish take over with Peter, Steven and I all from Glasgow. The Weedgies will take over the world. You live in New York and there’s a big Doctor Who following in America - are you recognised when you’re in the US as much as the UK? I’d say around the same amount. Which is not much at all. Missy and I have a very different dress sense so the fact I'm not wandering around in full Victorian garb means I get to walk around pretty freely. 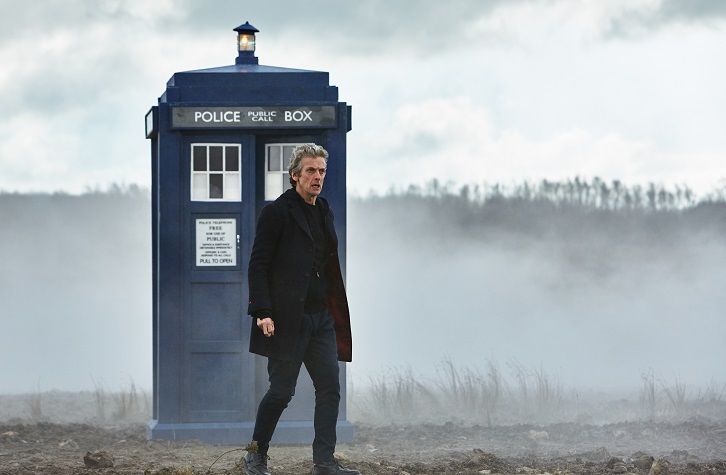 What do you think Doctor Who means for British drama and its identity overseas? It’s a product that reaches across the seas and touches people across the world. It ignites their imaginations with brilliant storytelling that all the family can enjoy, there aren’t too many of those shows around anymore which makes it all the more special.